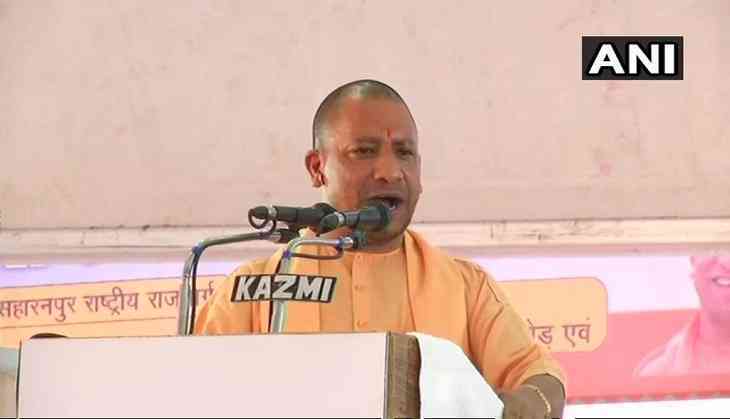 Uttar Pradesh Chief Minister Yogi Adityanath on Tuesday heaped praises on Prime Minister Narendra Modi and thanked him for speedy development in the former's Parliamentary constituency, Varanasi. Addressing a gathering at the Banaras Hindu University Amphitheatre, the Chief Minister said, "For the rapid development of Kashi in the last four years, I congratulate the Prime Minister." Speaking about the achievements of the Prime Minister, Adityanath said, "In the last 1.5 years, we have not only electrified 72,000 blocks but also provided free electricity connections to 52 lakh people under Saubhagya Yojana." The Chief Minister further added that the government aims to provide electricity to each and every household in Varanasi, and for this several programmes would be launched by the Prime Minister today. Adityanath also announced that the Prime Minister will inaugurate two new centres at BHU- Atal Incubation Centre, and Vedic Vigyan Kendra. He concluded his speech by applauding the Prime Minister for developing the infrastructure, and health facilities in Varanasi.